I just love this salad, especially when fresh figs are in season. 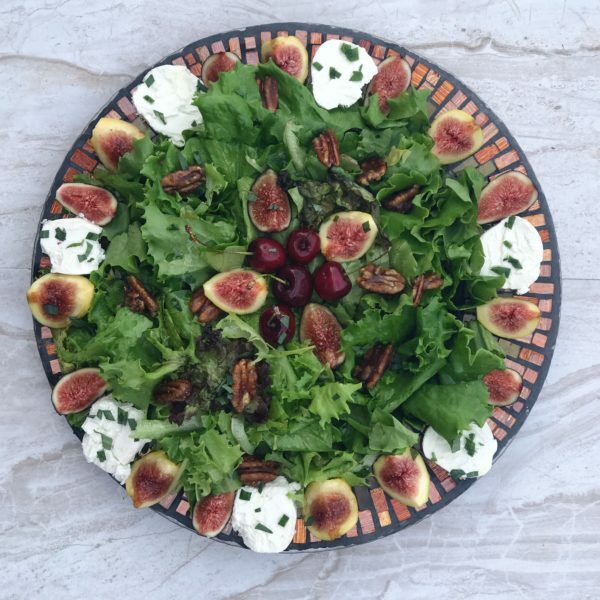 The combination of tender mixed greens, candied pecans, salty goat cheese, and sweet fresh figs lightly tossed in an oil and agave dressings make the perfect combination for a light flavorful salad for any meal. There is something incredibly enticing about candied nuts, especially when they are tossed into a fresh green salad. They create an exciting layer of flavor that brings an ordinary salad to life . My favorite nut to use in this salad are pecans, however, you can use other candied nuts like walnuts, cashews, or almonds. Follow this recipe to make your own candied nuts. If you’re trying to decide on a salad that everyone will love, this is such a great choice. This salad is great for dinner parties, luncheons, holidays, or just a family meal. If you are a big salad eater, you can even make it up for yourself. My recipes measurements are customized so just change the serving size in the recipe below and it will guide you on the measurement you will need for smaller servings. Lastly, when fresh figs are out of season, simply replace them with your favorite fruit such as, pears, mandarin oranges, raspberries or any fruit that is in season at the time. Enjoy! 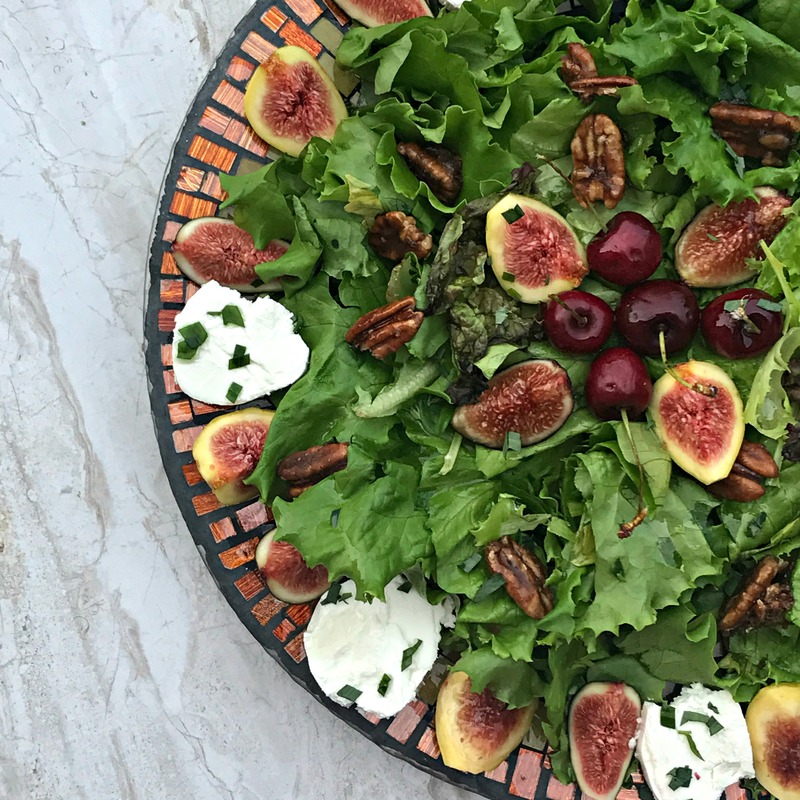 This Sweet Mediterranean Herb Salad is the combination of tender mixed greens, candied pecans, salty goat cheese and sweet fresh figs lightly tossed in an oil and agave dressings make the perfect combination for a light flavorful salad for any meal. Heat a small pan over medium heat for 30-seconds. 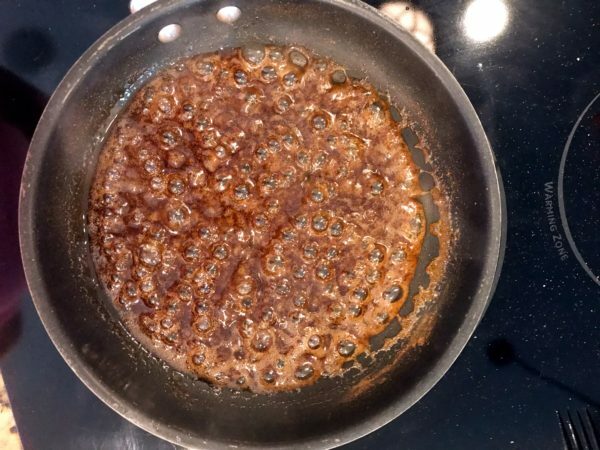 Add butter and saute until melted. 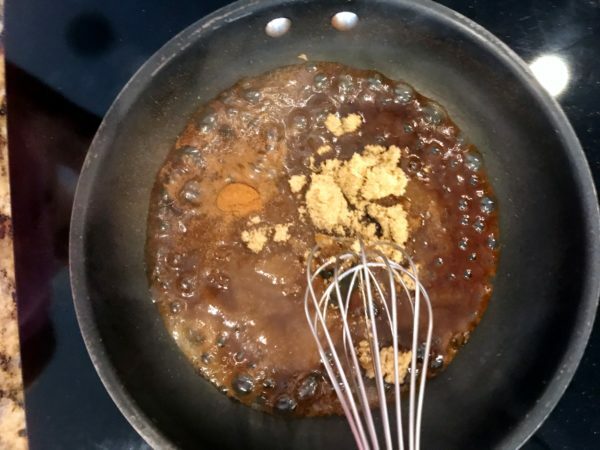 Stir in brown sugar and stir until dissolved. Add in pecans and stir until they are evenly covered with glaze. 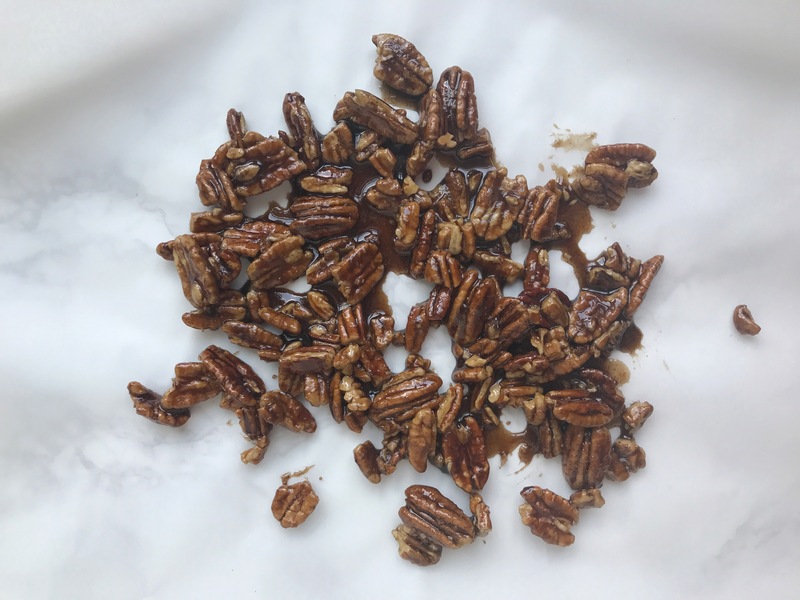 Spread pecans on to parchment paper to cool. Wash and roughly chop lettuce leaves before transfering them to a large platter. Cut fresh figs into quarters and lay around platter and in the middle of the lettuce. Slice goat cheese log into 1/2-inch rounds and place on edges of platter alternating between figs. Sprinkle candied pecans over and around salad. Lightly prinkle tarragon over goat cheese and over salad. In a small bowl, whisk together olive oil, agave nectar, salt, and pepper. Drizzle over salad just before serving. Transfer extra dressing into a serving dish to serve with salad.